Chania are connected to Piraeus with daily ferry schedules that operate all year round. During the summer season, there are two ferries that serve this route, one overnight and one during the day. The ferry tickets for the economy seat from Piraeus to Chania are quite cheap, while you can also find affordable options for reserving a shared or a whole cabin in order to enjoy a pleasant and relaxing trip. The ferries that go to Crete, have plenty of space for you to take your car. However, if you are travelling in summer you should keep in mind that availability may be quite narrow. Thus, it is advisable to book your tickets well in advance. And Ferryhopper will help you to do so! I have visited Chania many times, as it is my hometown. I have been there with my family, with a large group of friends or even with my couple. We are always travelling by ferry and the last years we booked easily our tickets through Ferryhopper. Each time we visit Crete, we take a car with us. I consider it to be necessary, as the excursions in the inner and southern part of Crete are really breathtaking. 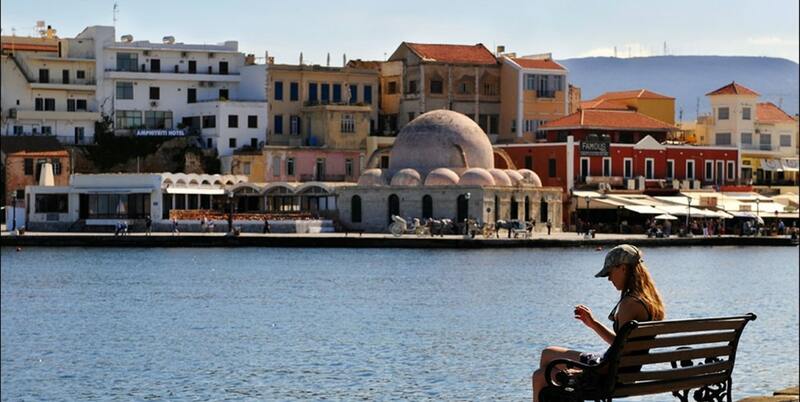 I have several favourite spots in Chania! The view from the Tombs of Venizelo's family, the neighbourhood of Tambakaria near Halep and the nice walk to the lighthouse in Chania port are really worth to see. If you have a car you should also visit Falassarna, Kedrodasos and Argiroupoli that are located within the region of Chania. Aaaaahh! When returning back in Athens, I always take with me the thrilling view of the Cretan mountains with the nice beaches sitting aside. To sum up, the city and the wider region of Chania are one of the best places to visit, not only in Greece, but in the whole world!